Review: Even "CHMMR" Brenden's debut album has been a long time coming. The Norwegian put out his first 12" on Lunar Flicks way back in 2010 and made the transfer to Prins Thomas's Full Pupp imprint three years later. The influence of Brenden's label boss is evident throughout the ten tracks, with the producer blending his own inspirations - South African disco (check the brilliant "Alles City Beat"), dusty deep house (the warm and luscious "New Slam") and weirdo mid '80s oddities ("Pretty Space") - with the sort of sonic traits regularly found in Norwegian electronic music (heavy dub disco basslines, new age synthesizer motifs, Scandolearic melodies, nods to krautrock and Italo-disco etc.). It's a blend that guarantees a string of fine moments, not to mention a hugely entertaining album. 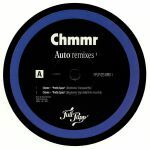 Review: For the first of (we think) two sets of remixes of tracks from CHMMR's superb debut album, Auto, Full Pupp boss Prins Thomas has enlisted the talents of two of the most inspired Norwegian producers of recent times: Telephones and DJ Fett Burger (here appearing under one of his other aliases, DJ Dog). 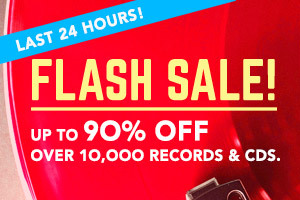 Each delivers a "main" version in their distinctive style (Telephones "Energized Mix" of "Pretty Space" boasts his usual tropical textures, dream house influences and tactile grooves, while Fett Burger and Double Dancer's "Spit Daddy Jazz Lounge Mix" of "Wall-Y" is similarly warm, but a little more percussive and eccentric), plus their own take on a drum dub. We'd say Telephones wins that particular battle, as his Bjorn Torske-inspired "Gren Fatarik Oo-mox Dub" is ridiculously heavy. Review: It would be fair to say that Magnus Sheehan has taken his time over Echo To Echo, his long-promised debut album for Full Pupp. Since debuting back in 2006 with the brilliant "Kosmetisk", the Oslo-based producer has delivered sporadic singles that hint at greatness. 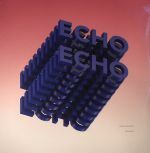 Echo To Echo is, thankfully, a largely impressive affair, with his trademark spacey, colourful synthesizers taking pride of place throughout. Stylistically, it's perhaps a little more varied than you might expect, frequently veering off his familiar Scandolearic nu-disco course to take in elements of dreamy deep house, tactile techno, IDM, electronica and an obviously icy take on new-wave. Throughout, it remains melodious and evocative, as with much of the best Norwegian electronic music.